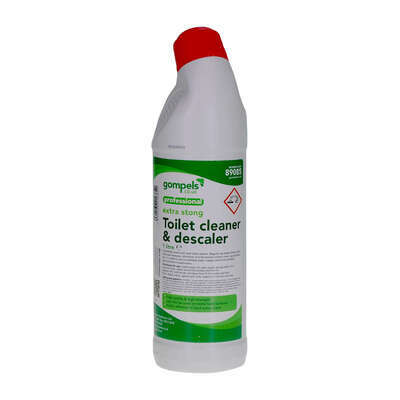 Our Gompels Extra Strong Toilet Cleaner and Descaler offer the powerful and effective performance needed in high traffic environments. Suitable for regular and repeated use, this formula can be used on a wide variety of surfaces from toilets, to sinks and showers. It is also gentle enough for use on stainless steel, chrome and copper - lending it perfectly to cleansing in older or protected buildings. This large volume bottle has a screw down lid and tapered nozzle that makes it easy to direct the cleaner and descaler underneath the toilet rim.